After another deliciously indulgent festive season, it’s time to get back into the swing of things and start a happy and healthy new year. Plenty of us make resolutions for clean eating, exercising and even taking up new hobbies, but when was the last time you though to include your nails in your New Year’s Resolutions? With spring 2015 now well under way, we’ve been enjoying all the perks of the sweetest season, from rocking chic sun dresses to taking warm evening walks, hand in hand with that special someone. Speaking of hands, though, there’s another thing we love, love, LOVE about spring: spring inspired manis! Whether you choose to play with traditional pastels or go bold with tangerine and strawberry shades, there’s a seasonal manicure out there to suit everyone’s unique style. After a long winter of rugging yourself up in oversized sweaters and thick tights, spring has finally sprung! It’s time to whip off those gloves and treat our nails to a sensational spring makeover. Let’s face it: most of us find winter a bit of a drag. The mornings are cold, the afternoons are dark and stepping outside requires us to wear way too many layers to be fashionable. Fortunately, while you’re dressed head to toe in a heavy coat or disappearing into an oversized jumper, there are other ways you can showcase your unique style. With just a lick of nail polish and a sophisticated, seasonal manicure, you can totally transform yourself and instantly wash away those winter blues. It’s that time of year again: time to sadly swap your gorgeous autumn wardrobe for thick stockings, gloves and a snug winter coat. But don’t mourn the changing seasons too hard, because as the mercury goes down, your nail art options just continue to go up, up up! Picture this: your manicure is impeccable, your nails have the perfect shape, the nail varnish looks glossy, and you show off your hands whenever you get the chance. At some point a nail breaks, killing your enthusiasm. You tend to hide that hand because the broken nail spoils your camera-ready mani. And you are feeling slightly frustrated. We doubt that you are thrilled about the arrival of winter, but we do know something you will love to bits: wearing the trendiest nail polish shades of the season! 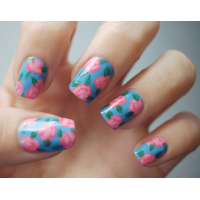 If you want to create some cute nail designs, then adding some cute little flowers always does the trick. Flower nail designs have always been popular and they probably always will be. Let’s take a look at some cute flower nail designs. When you want to add some cute decorations to your nail designs, then adding some stars is an exellent idea. As you will see adding some cute little stars can look very nice and stylish. If you like to try something new when it comes to trying out new nails designs, then you must read on because we’ll show you some really cool inspirational nail designs. There’s nothing more fun than experimenting with different colors for your nail design. But it can becom tricky to find the right color ideas to match your outfit. That’s why we will present you with some very creative ideas for you to start using multiple color schemes for your nail design. 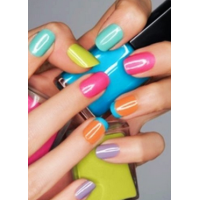 The color that most girls like the most is definately pink, and this is also a very popular color for nail designs. So what if we could be a little creative and add some nice pink glitter, what would the results be? 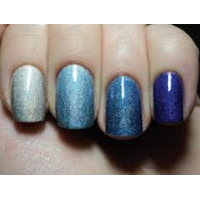 If you really want to stand ut of the crowd, then using a lot of flashy colors for your nail design is the way to go. Using flashy colors is really popular these days so we’re going to take a look at some really creative colorful nail designs. 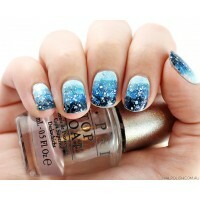 Blue is another one of those colors which offers an endless possibility to experiment with different nails designs. 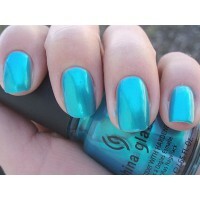 The big advantage of blue nail designs is that they fit with many outfits and give each outfit an extra amount of style. If you want to do something special for your nails, but you don’t have too many inspiration at the moment, you simply choose a colorful mix of stripes. It’s very easy to create and looks really cool at the same time. 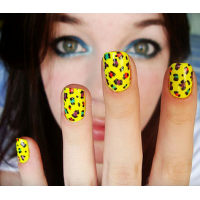 You can either get completely yellow color nails in plain or very flashy yellow, or you can use yellow to add some really amazing decorations to your nail designs. 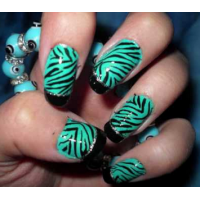 If you don’t really prefer very colorful nail designs but still want to have some stylish nail design then you might want to consider a zebra nail design. Zebra nail designs are becoming increasingly more popular these days so it might be a good time to play around with the idea. 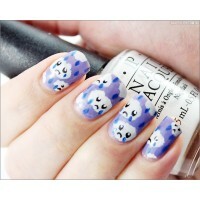 The nail art design you choose can be inspired by many things, one of those things can be the current season. As right now it’s winter time, let’s take a closer look at some inspiring winter nail design ideas. When you are getting married, of course you want to look the best you can possibly look. That’s why it’s important to make sure you get some great looking nails with a stunning design. 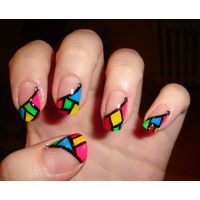 One of the latest trends for nail designs is 3D nail designs which are increasing in popularity more and more. It’s really possible to create some amazing looking designs when creating 3D nail designs so let’s check some of these out. 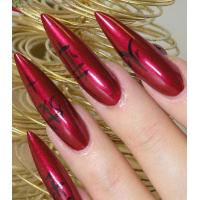 The color red has always been one of the most popular colors for nail designs. 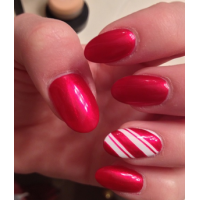 When you use red to create a stunning nail design everybody will immediately notice the style and class. Red is associated with love and passion and most of all beauty. Even though long nails look incredibly beautiful, not everybody likes to wear them. They might sometimes be uncomfortable and worse yet break off easily. 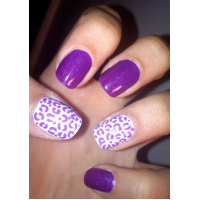 Purple is one of my favorite colors for nail designs, because it fits with almost every outfit. You can also add some cool decorations to get some really classy and stylish nail designs which can still be very flashy to make you really stand out. Butterflies are colorful, almost magical little creatures which give us a lot of inspiration, also when it comes to nail designs. 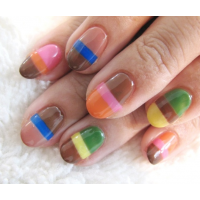 They have the most beautiful color patterns which we can replicate to create stunning nails.